Summary: You’ve all come to know the cute but wise-cracking Penguins from the hit Madagascar franchise of films, but now is the time to learn a little more about them as they have their own film. The film shows how Skipper (voiced by Tom McGrath), Kowalski (Chris Miller) and Rico (Conrad Vernon) first come to ‘adopt’ the baby of the bunch, Private (Christopher Knights) and also shows how in their own minds they have become an ‘elite’ squadron… who can’t fly. 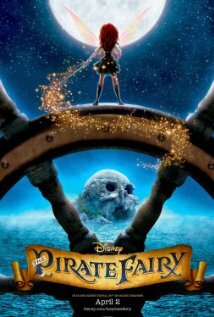 Things turn really nasty for the Penguins though when they decide it is time to leave their Madagascar buddies but soon find themselves being hunted by the evil Dave (John Malkovich), a shape shifting squid who has a serious vendetta against the flippered quartet. The Penguins seem even more in danger when they can’t bring themselves to work with an elite animal protection squad called The North Wind, led by the smart agent Classified (Benedict Cumberbatch). 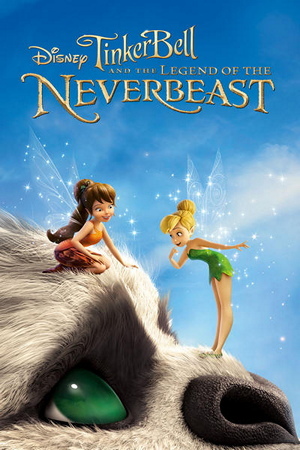 Spin-offs from successful franchises often fall by the wayside. Anyone remember how spectacularly Joey failed after the demise of Friends, or seen your local store littered with DVDs in the bargain bin of characters such as Stitch or Pumba who have failed to reach the popularity that the franchise they were lifted from managed over time. Even Disney learnt that Planes couldn’t capitalise on the success of Cars before it. 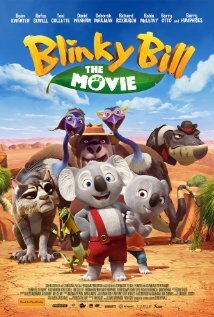 Now the brains behind Madagascar try to do the same with Penguins From Madagascar and while the film is likely to put bums on seats it is highly unlikely that fans of the franchise will be as impressed as they have been previously. Perhaps the biggest problem for this film is that it follows hot on the heels of Madagascar 3: Europe’s Most Wanted, a film that many fans say is the clear best in the series. 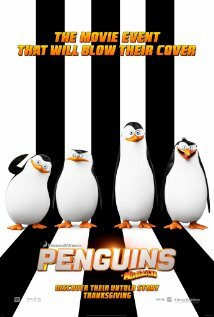 Penguins Of Madagascar had a lot to live up to but sadly fails on most levels… a fault that sadly falls at the feet of the screenwriters. First the screenwriting team have decided to bring out the tired old cliché of introducing a James Bond style character into the cartoon world. Here it is Classified the suave talking Brit (who happens to be a wolf) who is always able to save the day, except here he seems to fail on a number of levels. It’s as if the screenwriters have just chosen to ignore how many cartoons and animations have done this over the years, including Cars 2 which was released not all that long ago. Recycled plot lines are never a good idea in a movie. Even Dave the ‘baddie’ seems to be a re-hash of the bad guys we have seen previously in much better films like Despicable Me or Planet 51. 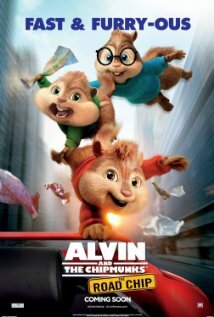 It almost seems like the writers decided that there was no need to actually come up with anything creative at all when developing the script, that the name Madagascar being in the title would be enough to ensure that this film would put bucks in the bank regardless. In fact the only thing you could even say the screenwriters get remotely right is that they push the edict that everybody is important no matter how they look, which is a more than worthy life lesson for the kiddies watching. Then there is the fact that many of the so called jokes written into the Penguins Of Madagascar script just end up becoming unfunny and going nowhere. The idea of throwing an actor’s name into the ring to get a laugh, eg ‘Let’s save Kevin’s Bacon’ gets tired really, really quickly and is never fully explained to why it is there… are the penguins closet cinephiles? We don’t know because we are never told anything that in depth about the characters. Sure some of the chases and moments of supposed peril that the penguins find themselves in may be enough to impress the littlies that go along to see this film (and most likely pester their parents to buy them the toys from whatever fast food restaurant has them on offer) but this is hardly going to be a film that even kids are going to want to watch over and over and it is bland and predictable. 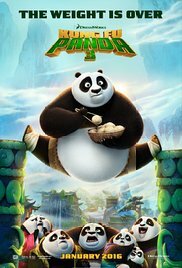 And well if you are a parent who is being forced to go along and watch this with your tikes be prepared for a film that is likely to put you to sleep very, very quickly as it is nowhere near as exciting as the previous films in the Madagascar universe. Other Subculture Entertainment Penguins Of Madagascar reviews: You can hear our full Penguins Of Madagascar review on The Good The Bad The Ugly Film Show Ep #111. You can also read our Penguins Of Madagascar review on The Book The Film The T-Shirt. 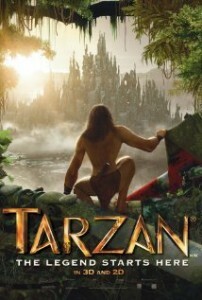 Summary: Tarzan and Jane Porter face a mercenary army dispatched by the evil CEO of Greystoke Energies, a man who took over the company from Tarzan’s parents, after they died in a plane crash. Other Subculture Entertainment Reviews of ‘Tarzan′: For our full Tarzan review please check The Good The Bad The Ugly Film Show Ep #96 . Summary: A veteran postman finds his beliefs challenged after he enters a TV talent show competition. 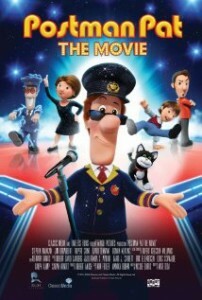 Other Subculture Entertainment Reviews of ‘Postman Pat: The Movie′: For our full Postman Pat: The Movie review please check The Good The Bad The Ugly Film Show Ep #92. 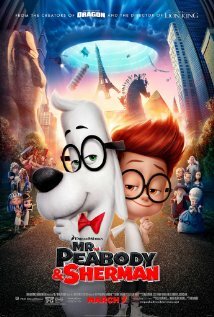 Summary: Using his invention the WABAC machine, Mr. Peabody and Sherman go back in time to experience world-changing events and interact with some of the greatest characters of all time. To see Greg’s Mr. Peabody & Sherman review please go to www.filmreviews.net.au. Other Subculture Media Mr Peabody & Sherman reviews: For our full Mr Peabody & Sherman review please check The Good The Bad The Ugly Film Show Ep #73. 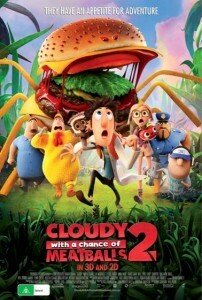 Summary: Flint Lockwood now works at The Live Corp Company for his idol Chester V. But he’s forced to leave his post when he learns that his most infamous machine is still operational and is churning out menacing food-animal hybrids. Other Subculture Media Reviews of ‘Cloudy With A Chance Of Meatballs 2′: Please check our Cloudy With A Chance Of Meatballs 2 review on The Good The Bad The Ugly Film Show Ep 61.